In the post-quantum-mechanics era, few physicists, if any, have matched Julian Schwinger in contributions to and influence on the development of physics. A towering giant in theoretical physics, Schwinger left his indelible mark on diverse fields such as quantum mechanics, quantum field theory, electrodynamics, nuclear physics, statistical mechanics, atomic physics, elementary particle physics, gravity, and mathematical physics. He shared the Nobel Prize in Physics 1965 with Sin-Itiro Tomonaga and Richard P. Feynman for "their fundamental work in quantum electrodynamics, with deep-ploughing consequences for the physics of elementary particles". "Rare is the theoretical physicist who makes repeated and varied contributions apart from the throng; rather still one who not only contributes but sets standards and priorities single-handedly. 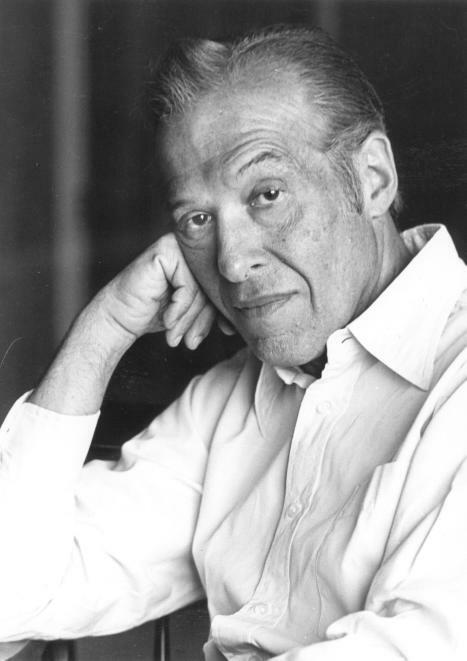 Julian Seymour Schwinger ... was such an individual.... His ideas, discoveries, and techniques pervade all areas of theoretical physics," wrote P.C. Martin and S. L. Glashow, two of his former students. Julian Schwinger was born on 12th February 1918 in New York City. Fiercely independent, he taught himself physics and mathematics by reading books and journals. With his exceptional gift in grasping the profound ideas of physics, he debuted as a theoretical physicist at the age of sixteen, to be judged by a first publication. With I.I. Rabi as his mentor, he received his Ph. D in physics from Columbia University at the age of twenty-one in 1939. For the next two years he did postdoctoral studies at the University of California, Berkeley , first as a National Research Fellow and then as assistant to J.R. Oppenheimer. After the outbreak of the Pacific War, he worked on radar for the allied war effort at the Radiation Laboratory at the Massachusetts Institute of Technology in Cambridge. He first approached electromagnetic radar problems with methods pertaining to nuclear physics, but later thought of nuclear physics in the language of electrical engineering. That would eventually emerge as the effective-range formulation of nuclear scattering. Then, being aware of the large microwave powers available, Schwinger thought about electron accelerators, which led to the question of radiation by electrons in magnetic fields. In studying the latter problem he was reminded, by classical physics, that the reaction of the electron's field alters the properties of the particle, including its mass. This would be important in the intensive developments of renormalized quantum electrodynamics(QED), on which Schwinger did his most famous research work and for which he was awarded the Nobel Prize in physics in 1965. Earlier he shared the first Einstein Prize with the mathematician Kurt Gödel in 1951, and was awarded the National Medal of Science in 1964. The theory of QED has withstood the test of time; it is arguably the most accurate theory ever devised by mankind. As C. N. Yang observed, "Renormalization was one of the great peaks of the development of fundamental physics in this century. Scaling this peak was a difficult enterprise. Many many people can climb the peak now. But the person who first conquered the peak was Julian Schwinger." In addition to QED, Schwinger made fundamental contributions to many areas of physics. He laid down the foundation for much of quantum field theory as we understand it today. He introduced operator and functional techniques, Euclidean and finite temperature field theories, proper-time methods and strong field techniques, and he discovered the anomalies of quantized fields. His Quantum Action Principle summarizes concisely all kinematics and dynamics of quantum mechanics. Schwinger was also the first to note that there must be other neutrinos besides the electron neutrino, which is but one of the many steps he took in preparing the ground for the electroweak unification that was completed by his student S.L. Glashow and others. Julian Schwinger joined the faculty of Harvard University shortly after WW II and was quickly promoted to the youngest Full Professor at the time. His work on Source Theory began in Harvard in 1965 but most of the later development was carried out at UCLA, where he moved to in 1970 and retired from in 1988. Source theory represented Schwinger's effort to replace the prevailing operator field theory, to which he had contributed so richly and fundamentally, by a philosophy and methodology that eliminated all infinite quantities. Not only did he succeed in constructing an infinity-free formalism, which led to the introduction of new experimental information and new theoretical ideas, he and his source theory group, Kim Milton, Lester de Raad and Wu-Yang Tsai, also made many applications to high-energy physics and showed that source theory was a very effective calculational tool. Apart from source theory, two of his important projects at UCLA are an extensive study on multi-electron atoms carried out in collaboration with B.-G. Englert and the experiments on sonoluminescence, stimulated by Seth Putterman. One significant result of the first project became known as the Schwinger conjecture and was proven by the mathematicians Charles Fefferman and Louis Angel Seco. In the second project, Schwinger speculated that the emitted light is dynamic Casimir radiation and studied this radiation by source-theory techniques. The analysis of this complicated problem, which involves the interaction between hydrodynamic and electromagnetic effects, was not completed until Schwinger's death, though he continued working on this problem even during his fatal illness. Schwinger published more than 200 scientific papers and books, many as the sole author, and supervised 73 Ph.D. students, including four Nobel Laureates: B. R. Mottelson, S. L. Glashow, W. Kohn, and Roy J. Glauber. Clarice Carrol, Julian's wife for 47 years, was the first President of the Julian Schwinger Foundation for Physics Research, which he founded with his Last Will. She passed away in January 2011. 1. J. Mehra and K. Milton. Climbing the Mountain: The Scientific Biography of Julian Schwinger. Oxford University Press. 2003. 2. Y. Jack Ng. Julian Schwinger: The Physicist, the Teacher and the Man. World Scientific. 1996. 3. S. S. Schweber. QED and the Men Who Made It: Dyson, Feynman, Schwinger, and Tomonaga. Princeton University Press. 1994. 4. P. C. Martin and S. L. Glashow. Julian Schwinger 1918-1994. Biographical Memoir, National Academy of Sciences. 2008. The biographical sketch above uses material, sometimes quoted literally, compiled by Y. Jack Ng in Julian Schwinger: The Physicist, the Teacher and the Man (World Scientific, Singapore 1996) and S. Treiman's review thereof in the October 1996 issue of Physics Today, and also biographical material available at the website of the Nobel Prize Foundation.